The Congress is the mother of all communal politics in India starting and supporting from the very Khilafat Movement, origin of RSS, further division of India and actively involved within all communal riots against Muslims after independence without putting perpetrators to Justice by their Government of the day but unfortunately, the Congress top leadership (Shrimati Sonia Gandhi) has announced recently that “Congress is perceived as a Muslim Political Party” in India. Does that mean Congress, Top Leadership (She) will further organize communal riots in India or put thousands of innocents youths behind the bar again, after coming to power, until the Hon’ble Supreme Court will declare all of these youths innocents without a single evidence against them but after incarcerating twenty-years in jail of their young age (just to shed this wrong perception Congress as a Muslim political party). Congress Leadership should look for real grassroots activists belong to left of center ideology and having fire in their belly with genuine respect of Indian Secularism as almost all present Congress youth leaders are not meeting this criteria. Congress Leadership has to come clean on Shahbano Case Blunder and should say sorry to the nation from their core of the heart as they tried to mislead Muslims. Congress Leadership has to say sorry for the blunder made by opening the Barbri Mosque Lock and showing this on Door Darshan openly for many hours for communal polarization in their favor. Congress Leadership should say sorry for laying the foundation of the Ram Mandir and crossing all lines of Secular Character of a Raj Dharma. Congress Leadership should Say sorry for organizing almost all communal riots after independence and the brutal killing of Sikhs in 1984 (Although, Shri Manmohan Singh already reiterated in the parliament). Congress Leadership should say sorry to the nation for not protecting Babri Mosques by Congress Government lead by Shri Narshimha Rao. Congress Leadership has to develop reading habits and start reading Indian History, culture and even Independence Movement from genuine sources as they are not even aware about the legacy of Nehruvian Congress. The Congress may not be a true alternative of BJP by just being a “B team” of BJP and unfortunately, the Gujarat election campaign was fully misleading and Congress only agenda was to replace BJP with core Hindutva ideology. Hope, Congress Top Leadership is listening to meet and respond to the current challenges to the nation. Let us remember 22 May 1987 (31 Years Ago, Same Day). It was the last Friday (alwida Juma) of Ramazan that year. 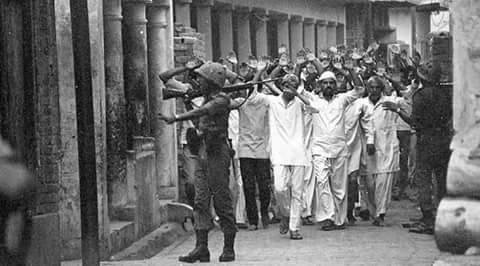 Meerut was burning in communal violence (where Police was freely killing Muslims) in the aftermath of Rajiv Gandhi’s decision of breaking the locks of Babri Masjid. 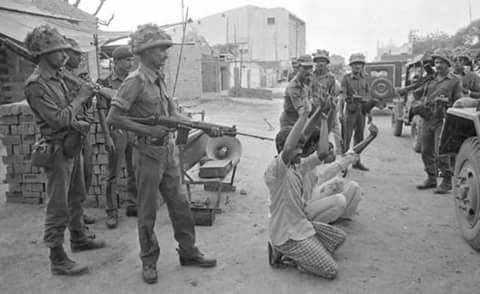 Provincial Armed Constabulary (PAC) rounded up dozens of Muslim men from Hashimpura mohalla and shot them dead near Ganga Canal. At that time Uttar Pradesh was governed by Congress and Rajiv was the PM. Note: Needless to say nobody was convicted for killing 46 Muslim men. UP saw BJP, Congress, SP and BSP governments after that but justice for the families of those killed remained an illusion. Parwez Mohammad is a senior AMU Alumnus based in Doha Qatar and he has been actively involved within many educational and development projects for the poor and downtrodden Section of Indian Society and actively engaged to promote the key constitutional rights like freedom, liberty and secularism in India.